Feeling fatigued at midday after 2 weeks of taking Nugenix. Apr 27, 2018 Gregory – We’re very sorry to hear you aren’t seeing the benefits that so many other users see. It might be in regards to how you are taking the supplement. We recommend the product be taken all at once, in the morning, on an empty stomach. 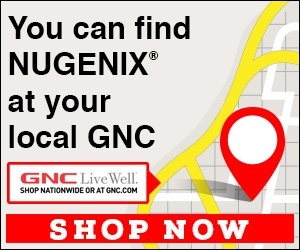 Since my diet and activities have not changed in the past two weeks except for the addition of Nugenix to my diet, I have to conclude Nugenix is responsible for my fatigue. Paying $77 to feel like a lump of mud is not acceptable for this go to supplement. Review #1241887 is a subjective opinion of BlandKiwi.